Phillip Island MotoGP organisers have negotiated a change of date for next year to avoid a continued clash with the Gold Coast 600. The Australian Motorcycle Grand has been moved back a week in the provisional 2018 FIM MotoGP world championship calendar to October 26-28, ending the conflict with Supercars’ GC600 street race festival that arose last year. The change all but confirms that next year’s Gold Coast 600 will be run from October 19-21, adding another piece to the puzzle of the Supercars championship schedule. The 2018 Virgin Australia Supercars Championship roster, which will grow by at least one event with the addition of the F1 Australian GP support races as title points-payers, is due to be announced in the week leading up to the October 5-8 Supercheap Auto Bathurst 1000. This year’s Michelin Australian Motorcycle Grand Prix and Vodafone Gold Coast 600 will again clash from October 20-22. But with the expansion of the MotoGP series to 19 races, the addition of Thailand has resulted in a four-race Asian/Australian swing next October/early November that has allowed the annual visit to Phillip Island to be repositioned. The Phillip Island MotoGP promoter is the Australian Grand Prix Corporation, whose chief executive officer Andrew Westacott and general manager of motor sport Craig Fletcher attended last month’s British GP at Silverstone, where next year’s calendar was finalised. In meetings with Dorna chiefs, and other MotoGP race organisers and promoters, Westacott and Fletcher pressed the AGPC’s case to avoid a clash with the GC600 next year. 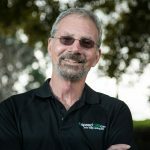 “We were able to reach agreement on next year’s calendar, which was pretty much final, but it was just a cementing of the dates,” Westacott told Speedcafe.com. Shifting the Phillip Island MotoGP will leave the 2018 edition of Supercars’ Surfers Paradise street race event on its own in the third weekend of October, into which it is locked as part of the Queensland government’s backing. It is the preferred timing for the GC600 because it is a traditional lull in the Gold Coast tourist season. Although being scheduled against each other hasn’t affected attendances because they are around 1300 km apart, holding two of Australia’s biggest motor sport events on the same weekend splits media coverage and TV audiences. The Australian Motorcycle GP’s free-to-air broadcast will again be on the Ten Network’s One digital channel, while the Gold Coast 600 will be shown on Ten’s main channels. They will be simulcast on subscription TV on different Fox Sports channels. The return of free TV coverage on Ten next year, as well as being Fox Sports’ primary motor sport telecast that weekend, will increase Australian viewership, in addition to the large international broadcast audience. According to Westacott, who paid tribute to Fletcher’s efforts to secure a solo date, restoring Phillip Island to standalone status was always the AGPC’s aim. “So that was a good outcome,” he said. “Craig Fletcher had been working on that for a fair while. 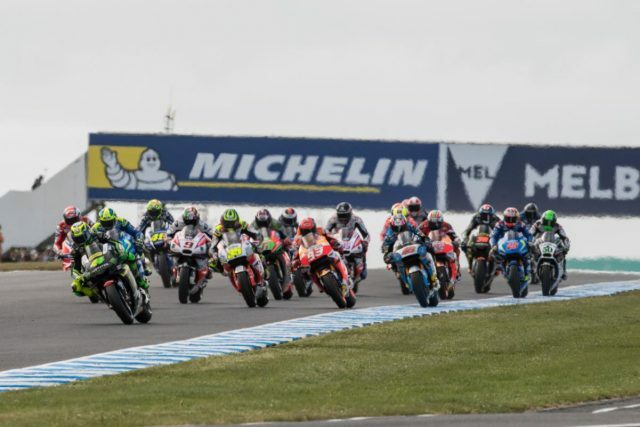 Next month’s Michelin Australian Motorcycle GP is the first of a new contract that locks in MotoGP at the scenic Phillip Island Grand Prix Circuit, southeast of Melbourne, through 2026. Advance ticket sales for the event are already running ahead of pre-bookings at this time last year, boosted by the intense competition for the MotoGP world title.